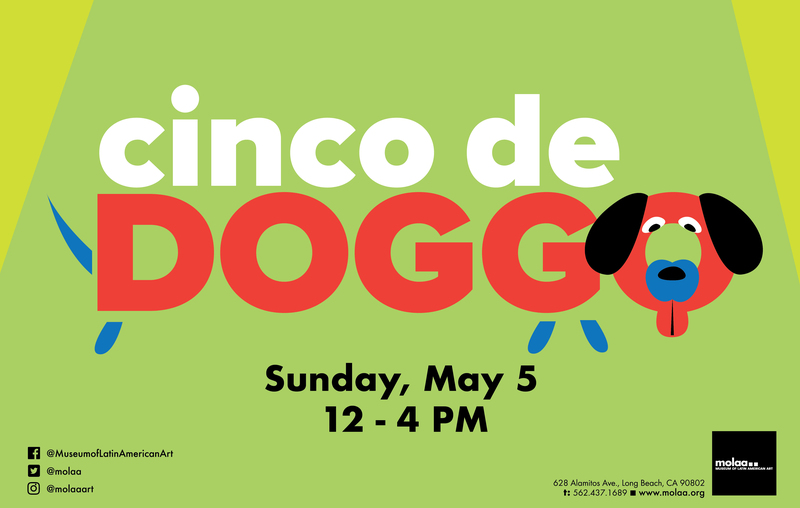 Celebrate Cinco de Mayo with your best friend – your pup! Enjoy activities with your dog like yoga, art workshops and a photo booth. Your furry friend can enjoy MOLAA’s Paw Spa where you can paint their toenails or learn how to massage your dog. spcaLA will be there to share information about our programs and services. The event will also include local pet supply and treat vendors. Humans will receive 3 tickets to redeem for delicious Cinco de Mayo treats or drinks! MOLAA will have puppy valet available when interested in viewing galleries. Don’t forget to dress your pup up and sign up for our fashion show!